A few years after inventing this great holiday, Lott resigned as Senate Republican leader after publicly revealing himself to be a hugely racist Strom Thurmand stan, but the tradition has, for some reason, cheerily carried on, and Sen. Dianne Feinstein—ranking member of the Intel Committee—will not be stopped from donning her favorite lightweight cotton suit. 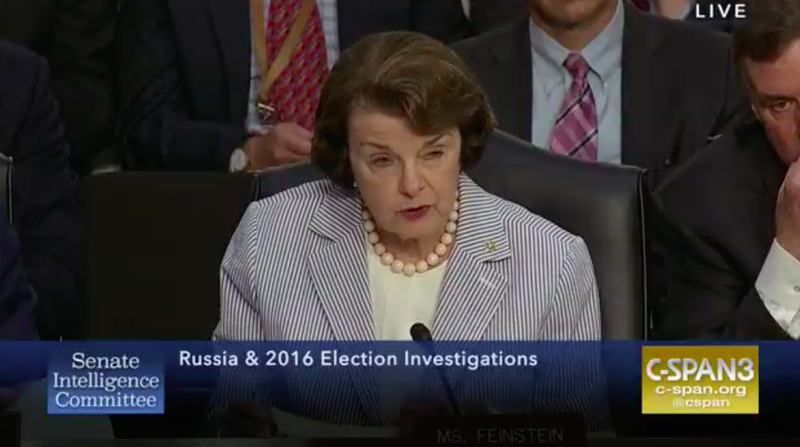 Nobody else on the Intel Committee appears to be wearing seersucker today, but that’s fine—more seersucker for Sen. Feinstein, assholes! Louisiana Sen. Bill Cassidy, who joins Feinstein as co-leader of the seersucker celebration, told Roll Call that he hopes his colleagues will participate. “Why wouldn’t you? It’s fun,” he said.